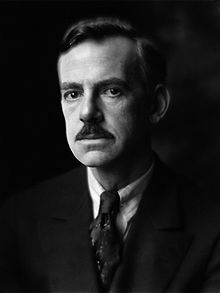 Eugene Gladstone O'Neill (October 16, 1888 – November 27, 1953) wis an American playwricht an Nobel laureate in Leeteratur. His poetically teetled plays war amang the first tae introduce intae American drama techniques o realism earlier associatit wi Roushie playwricht Anton Chekhov, Norse playwricht Henrik Ibsen, an Swadish playwricht August Strindberg. The drama Long Day's Journey into Night is eften nummered on the short leet o the finest American plays in the 20t century, alangside Tennessee Williams's A Streetcar Named Desire an Arthur Miller's Death of a Salesman. This page wis last eeditit on 11 Februar 2017, at 05:27.